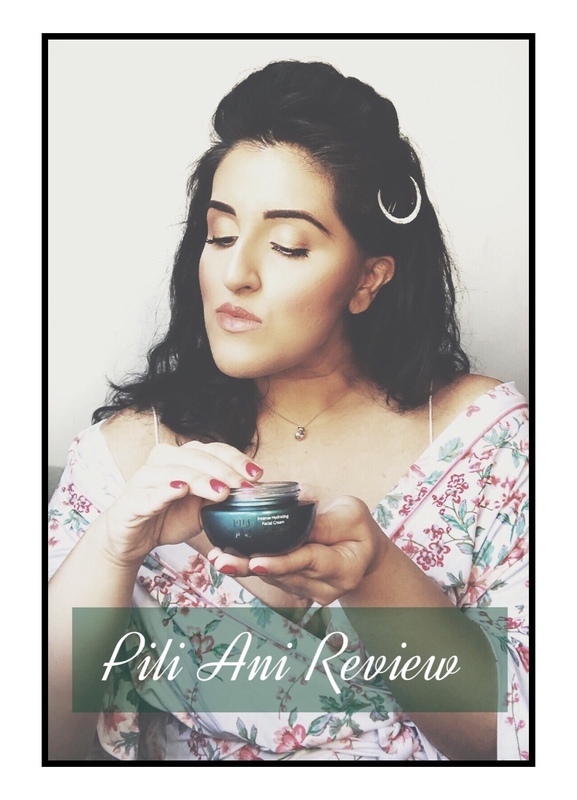 Pili Ani in a not like any brand I've used before. 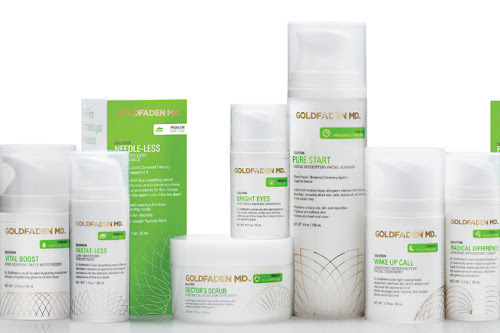 This Filipino skincare company features a truly unique ingredient in their products which is an absolute game changer. Originating in Bicol, the southern island region of the Philippines, Pili Ani was built around the rich oils of the pili tree, which is specific to this location. Rosalina Tan, creator and proponent of organic agriculture, gravitated to this "chosen tree"and focused primarily on its beneficial oils. These potent oils -- pili oil, which is found in the fruit's pup and elemi oil, which is found in the tree's bark -- carry intensely moisturizing qualities as well as being antioxidant-rich and have skin firming properties. These vital oils coupled together are the star ingredients in their exclusive skincare line. While their multi-dimensional products are promoted as ultra-hydrating, fine-line and wrinkle diminishing skin wonders, pili oil is rich in Vitamin A and E which also aids greatly in healing. I was thrilled to learn more about the pili oil and was excited to hear stories of skin ailments and scarring healed through its use. I couldn't wait to get my hands on their Intense Hydrating Facial Cream and try it on my own scars, of which I have plenty. With so much hope and being so moved by the brand's story and testimonies, I wondered if this product would work on my aggressive, hypertrophic scarring, With a lot of patience, I put their cream to the test. To help explain the degree of my major scarring, I should explain a bit and how they develop. Oh boy are they frustrating. Caused by trauma, some of my scars are more extreme than others. Surgery is a form of trauma which causes inflammation of the tissue. With time that inflammation converts into a scar, sometimes becoming a hypertrophic scar (keloid). This kind of scar is a thickened, elevated scar that grows beyond the measures of a surgical lesion. As someone who has experienced extensive surgery, I am all too familiar with keloiding and found that my skin responds to all trauma with this kind of collagen-rich scarring. The most frustrating and decades-old scarring is on my shoulders which was caused by a terrible sunburn. As the skin naturally-healed and peeled away, it caused small tears in my skin which healed over in large, puffy, dark-toned keloid scars. Growing with time, these were painful, tight scars which would pull on the skin. I didn't know how to tackle them at the time and tried everything under the sun to treat and heal. Keloiding is my skin's natural response to healing. That meant cuts, surgery wounds, or even a pesky blemish could and would heal as an unsightly keloid. I refused to get cosmetic work (injectables and laser therapy) or have them surgically cut out as the chance of them returning or getting worse/bigger was far too high. Additionally, the amount of scars and area of coverage was far too much. The time, pain and money involved to treat by these cosmetic methods without a guarantee was not worth it. I knew a topical treatment was my only method. Vitamin E was working the best so far. Discovering that Vitamin E was a component found in pili oil, I had high hopes and started to lather my scars in their Intensely Hydrating Facial Cream as a new at-home treatment method. The progress was slow and while I secretly wished for a instant response, I held on and continued use. 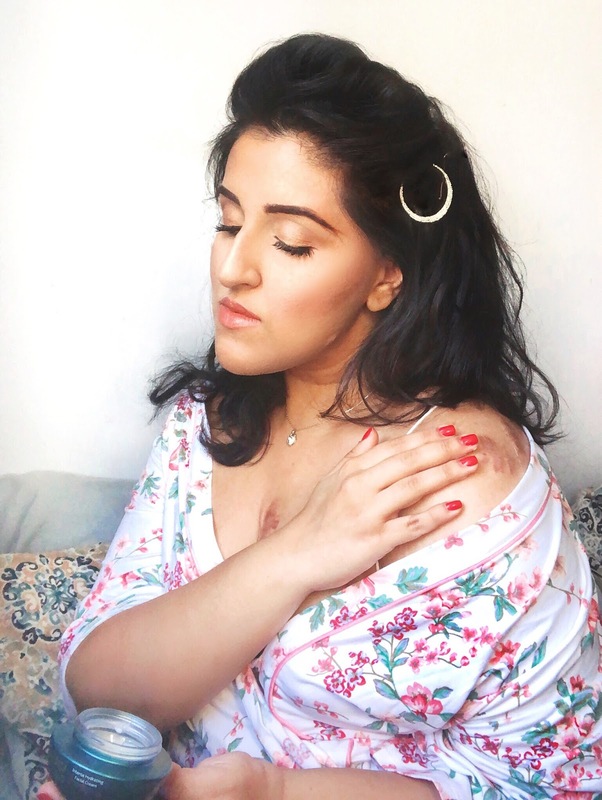 To my surprise the condition of my scars, even those decades-old shoulder keloids which I was so self conscious of, began to improve with use. With a few months of consistent use, Pili Ani's cream has not only improved the texture of my keloids but has began evening out their color and lightening the harsh darkness, The raised-puffy nature of my scars haas also flattened which is such an improvement from their initial state. A keloid is very tough to the touch and with use, the areas of intense hypertrophic scarring has softened and continues to do so. Best of all, the painful strain I feel in each scar has finally settled due to do the intense hydration. Like all great things, this is not an over night cure-all. It took consistent use and twice-a-day application to garner any results. I imagine it would work much quicker if the product is applied to a fresh scar. The scars I've treated are many years old and therefore require more product and greater attention. I have used Vitamin E creams and various oils in the past, in the same fashion, to no results. It is this uniquely blended, pili oil-rich cream that has really delivered an overall improved change in the condition of my scars. Pili Ani has become a major staple in my daily morning/evening routine and I can't rave about it enough. I have been so embarrassed of my scars which constantly draw odd looks and comments. I am thrilled to proudly show them thanks to the help of Pili Ani. 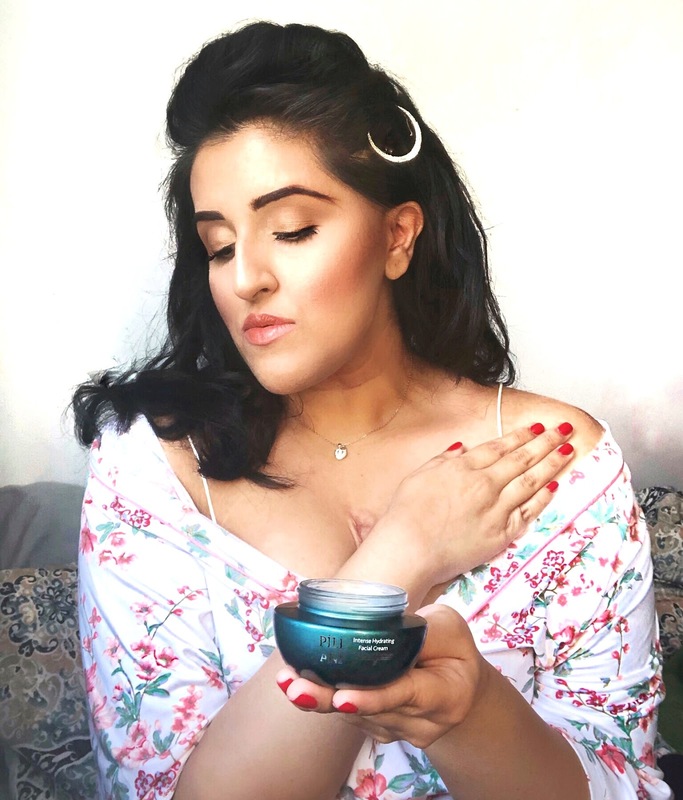 While I know my scars tell a visual story that will never be fully erased, I'm so glad I found a product that truly works and heals the additional troubles that come along with my scars and has improved their overall look and texture. As the weather cools, it's completely normal to see your skin dry out and require twice as much moisture than the warmer months of the year. While we're inclined to drench the skin on our faces and bodies with moisture-rich products, we often forget that our scalps need the same attention. The winter season tends to strip the scalp of its natural hydration and leaves behind a flaky, somewhat irritated surface in need of extra attention. Though it may seem like you would need a plethora of hair care products to remedy each issue separately, I found a single product that is getting to the root of our troubled winter scalp concerns. 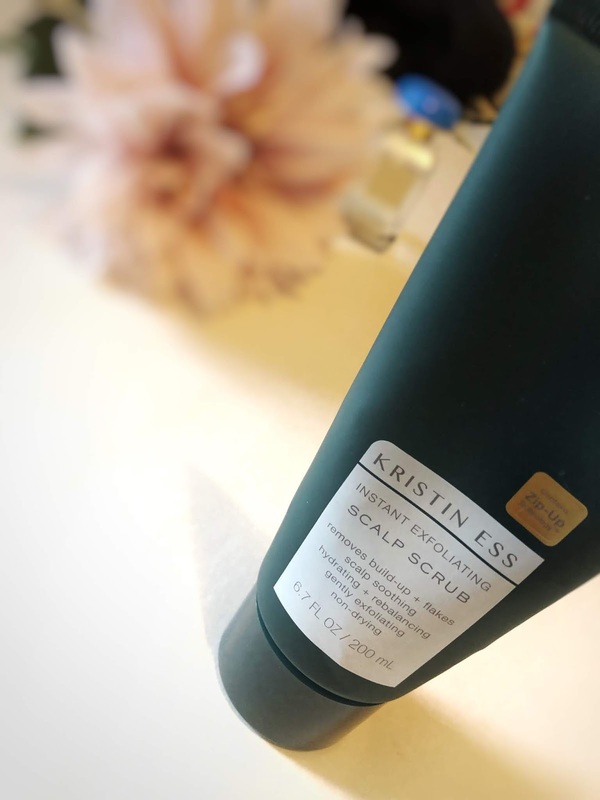 Kristin Ess' amazing hair care range for Target recently launched an effective scalp-targeted hair care roundup with products providing a hefty dose of protective TLC. More specifically, the Instant Exfoliating Scalp Scrub, which has changed the way I look at my scalp health. Prior to shampoo, this richly-formulated sugar scrub is meant to be applied directly to the scalp and massaged in small circular motions. This method gently exfoliates the targeted area while softly breaking up buildup and flakes. I found that my scalp started to flake more during the brutally cold winter and this product effectively lessened the flaking and subsequent roughness from the buildup. Additionally, I found that while my scalp feels incredibly clean after use, it's more hydrated without producing more oil, an issue I found with most hydrating conditioners and masks. Greasy roots the next day after a wash is not something I want after using a high-quality product. Along with its lovely subtle scent, I feel that my hair has become stronger from prolonged use and see less breakage and fallout. This could be a result of the Zip-Up technology unique to this product. This exclusive complex aids weaker bits of the hair (the cuticle and split ends) while promoting overall healing and protection against those pesky environmental irritants. Much like the skin on our face, we need a product that tackles seasonal scalp issues while offering enough protection and healing long after the product is applied. While this product has rebalanced my suffering winter scalp, my overall hair health has great improved. Best of all, this genius hair product allows me to skip an extra day (three) between washes and still feel fresh and clean without losing its bounce/natural volume. It all starts with your invitation. 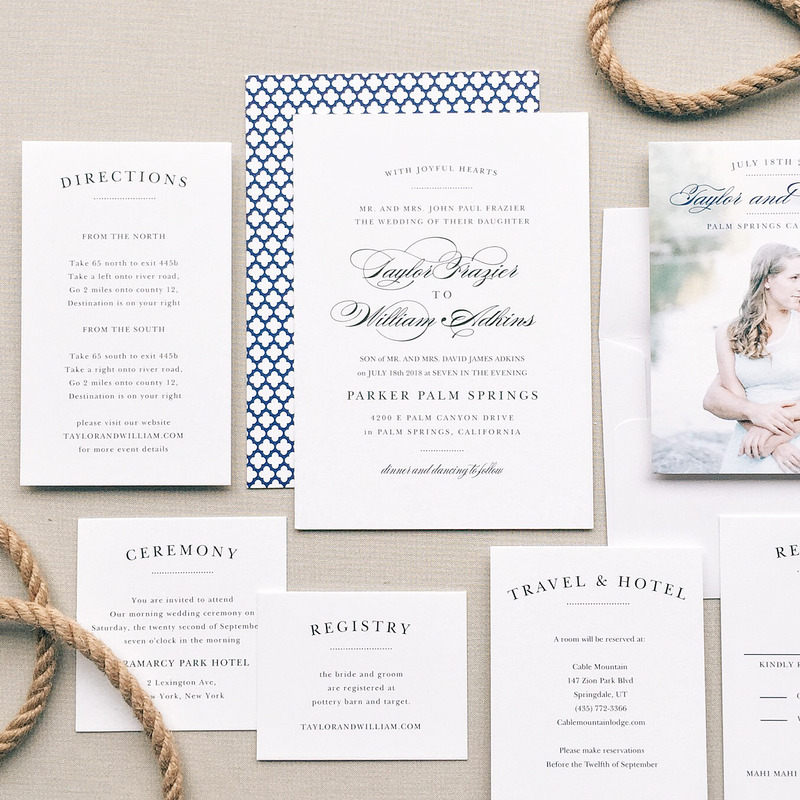 An invite to a personal event or celebration should be as unique as the event itself. While custom invite services have been around for quite sometime, I recently approached by Basic Invite, a unique website that is taking customization to the next level in more ways than one. 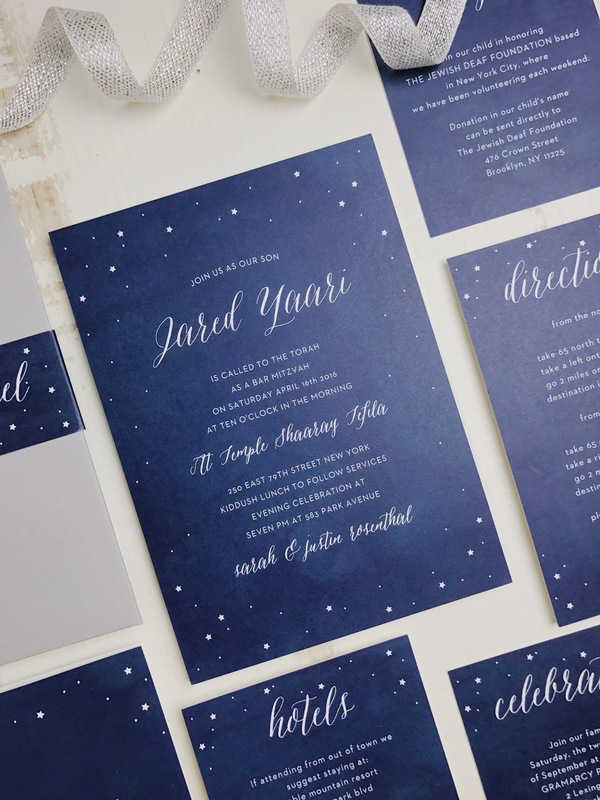 Whether you're in the market for invitations, save the dates, or personal stationary, Basic Invite's easily navigated site previews a stunning collection of options in every respective category and beyond. The best part of it all, their unique service allows you to edit and customize every design element in a color of your choice. The sophisticated color library available on Basic Invite goes far beyond the standard colors of the rainbow. It features over a whopping 180-shades from which you can pick and apply to your chosen design. Along with color, the options of fonts is equally vast. 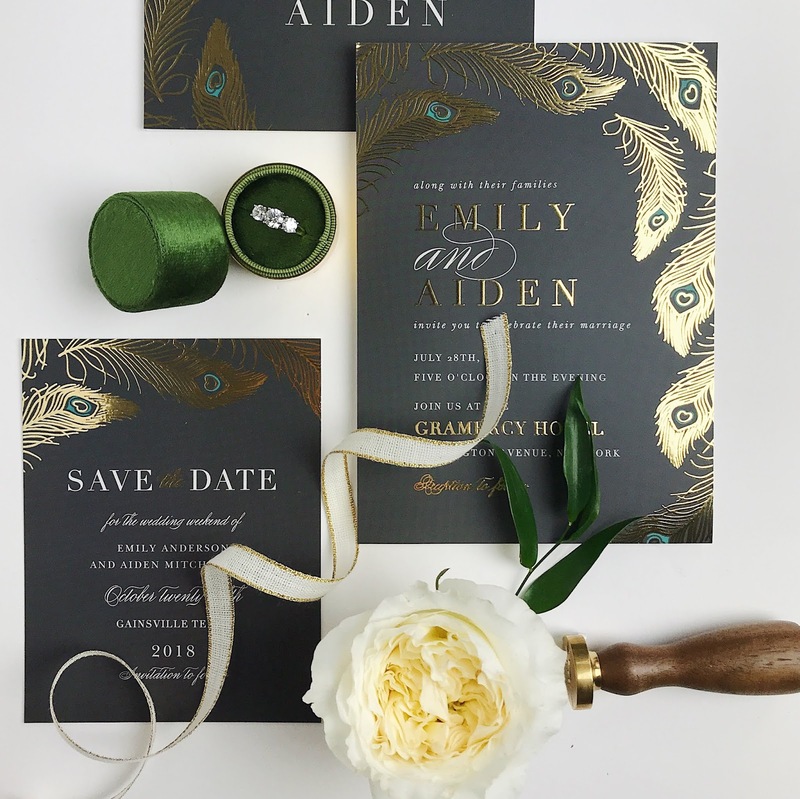 As someone who prefers an amplified touch or an unexpected hint of elegance in paper goods, I was so excited to learn that they also offer flat foil (gold, rose gold, silver) options as well. 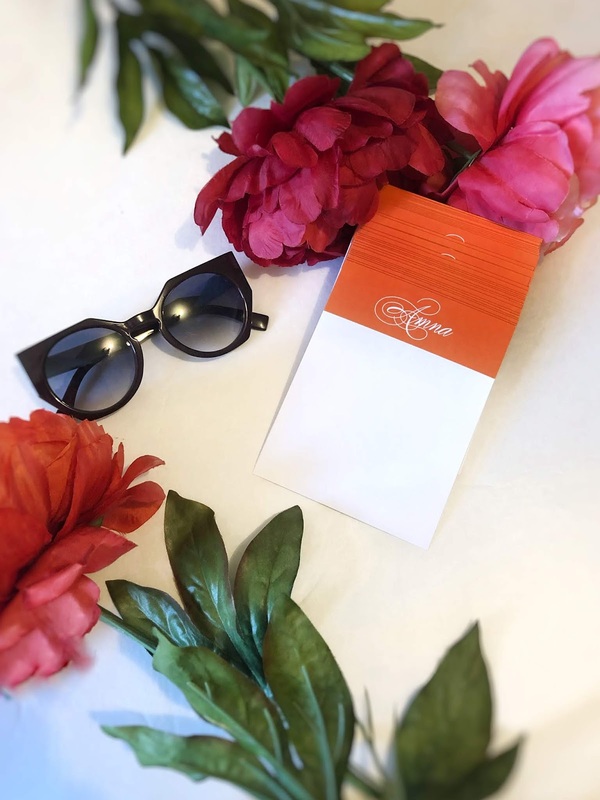 A truly luxurious design experience, this degree of customization can really allow you to create a special invite that expresses your personality and taste in the finest fashion. 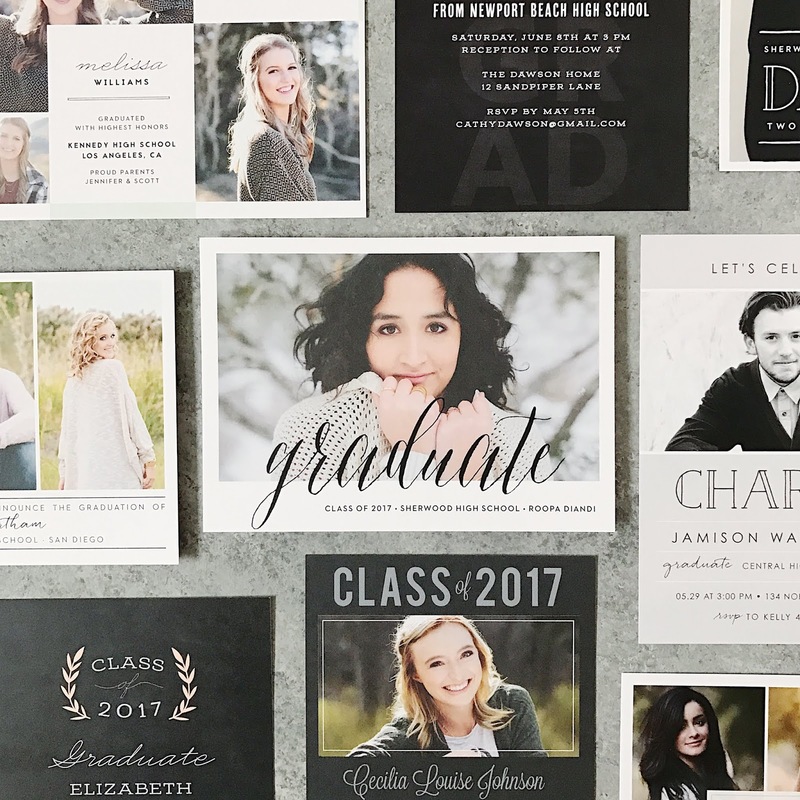 Upon browsing their beautifully designed invitations, I found that photos could also be added to an invite as a fun layer of customization. 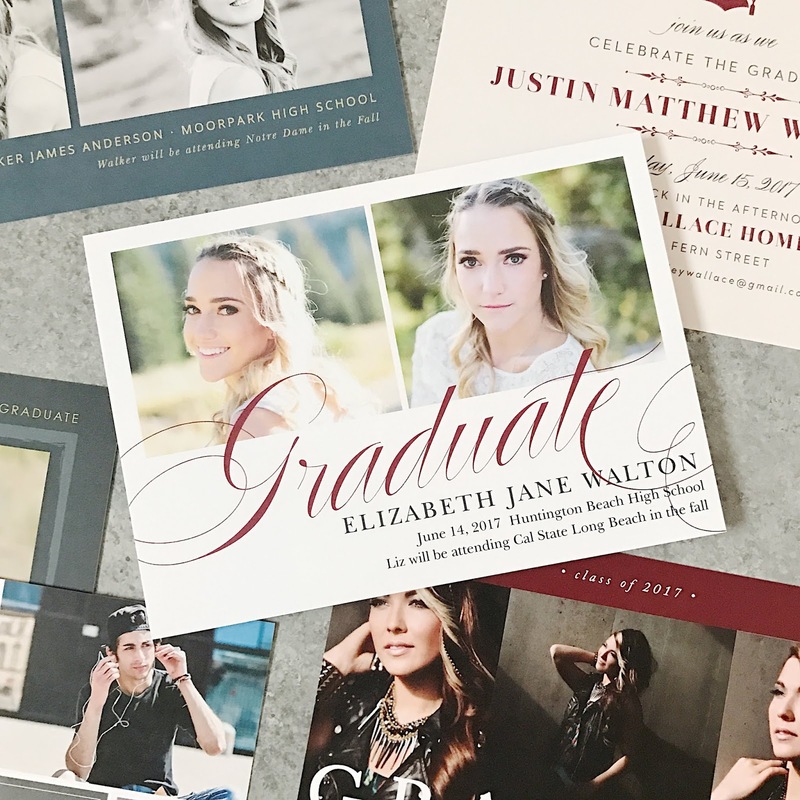 With graduation season just around the corner, Basic Invite's incredibly tailored designed experience is certainly one to try when creating your own graduation party invitations. 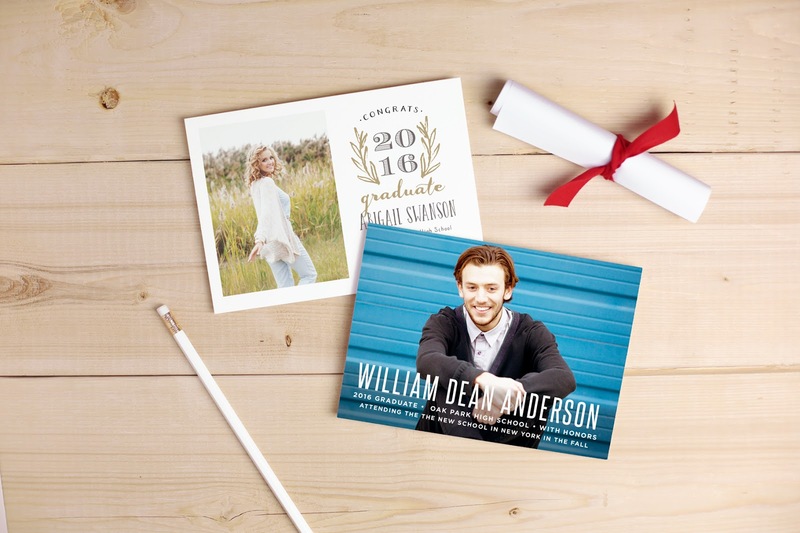 As special as the event itself, the beautiful graduation invitations offered by the website reads professional and elegant yet incredibly stylish. 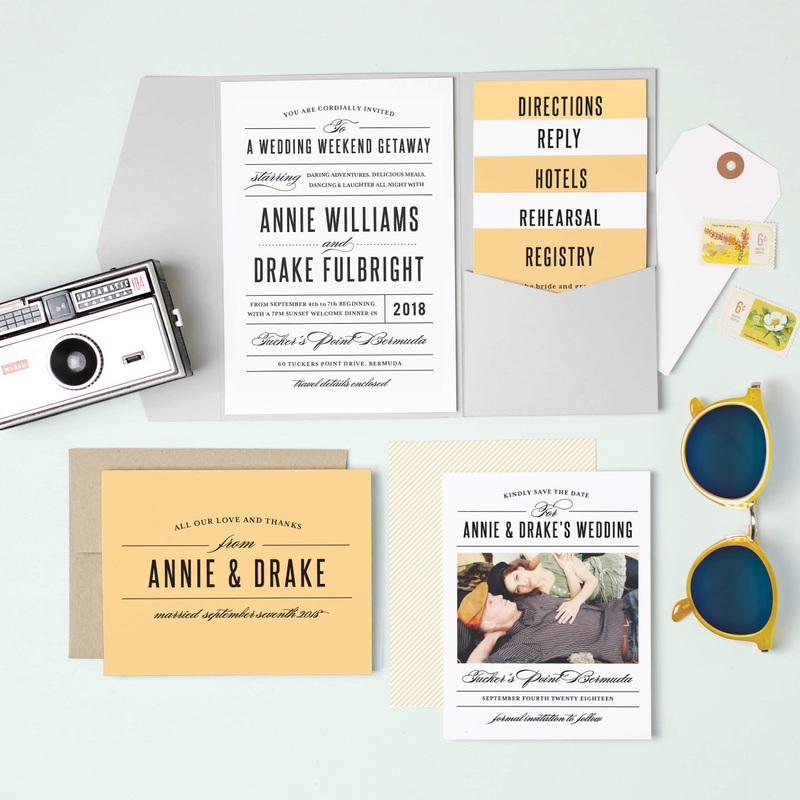 Far from the traditional fonts and classic grad-centric clip art, these ultra-classy, modern designs will make for a memorable invite that's pretty enough to frame. Whether your style is fun, sporty, chic or beyond, the stunning array of options will satisfy your every need. 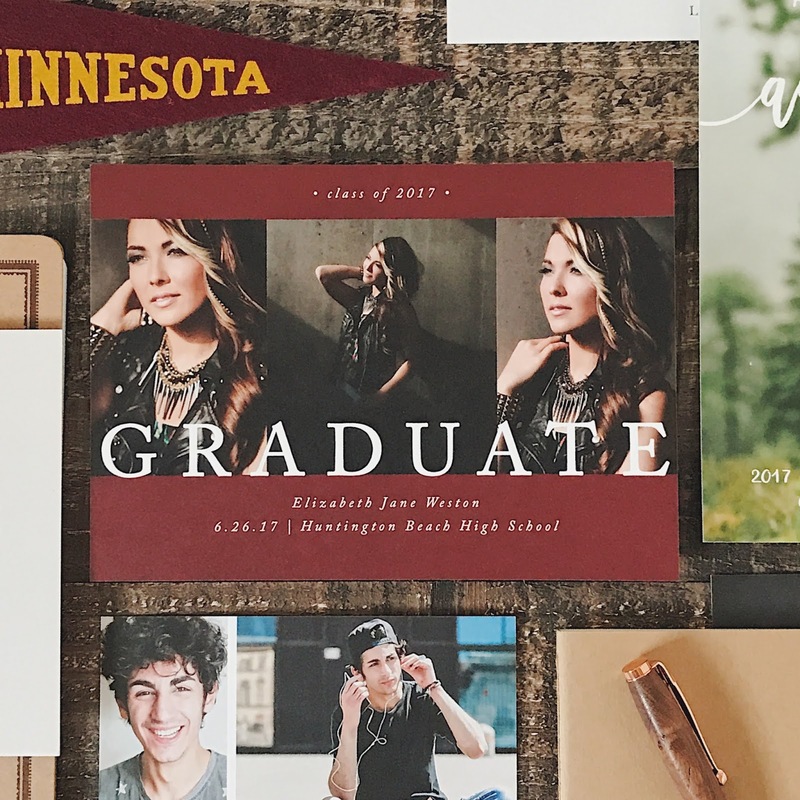 The only website with an impressively grand collections of colors, incorporating your school colors into your grad invite design would be a breeze. 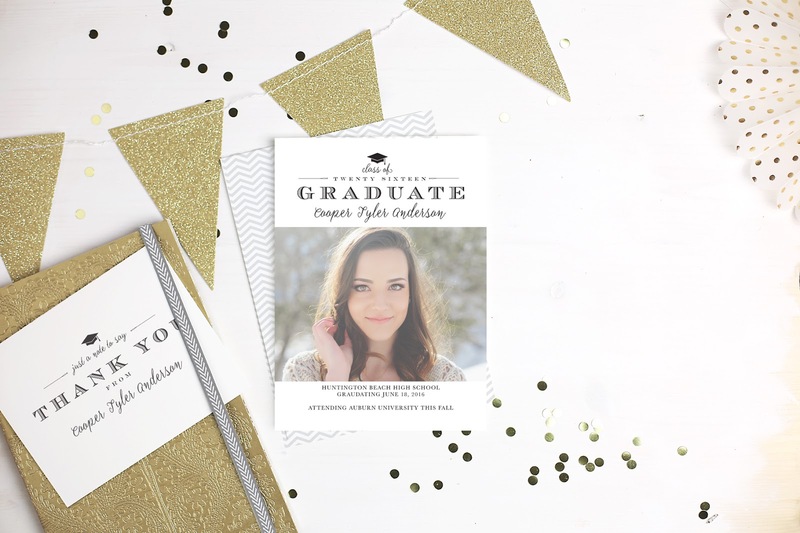 For those who want a more glitzy invite, their Hollywood graduation invitations also feature the luxe option of the exclusive foil. 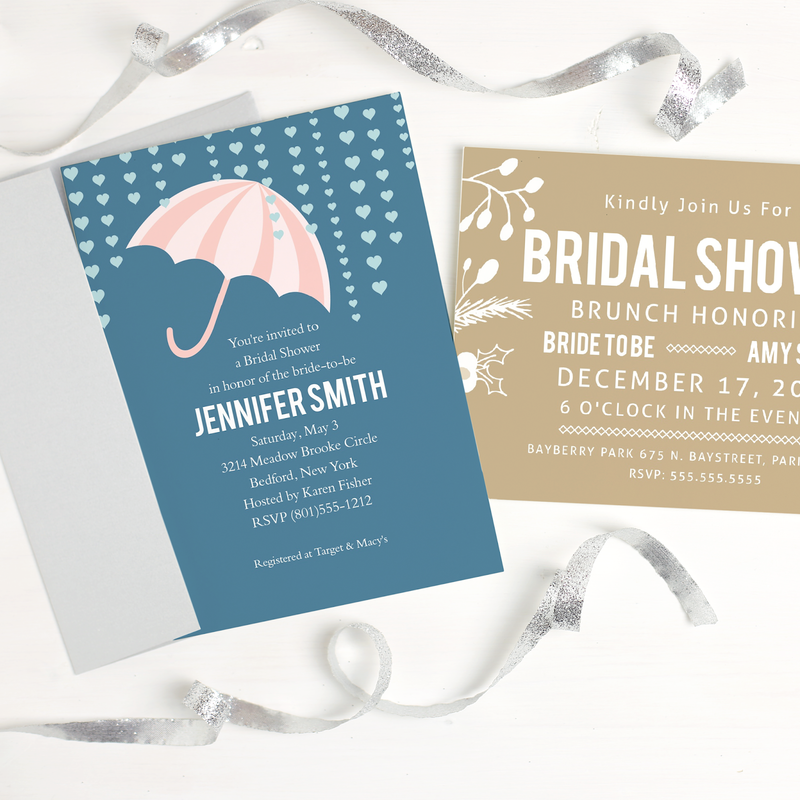 In addition to the dazzling collection of various invitations, Basic Invite is taking standard stationary and upgrading it with incredible quality and style. 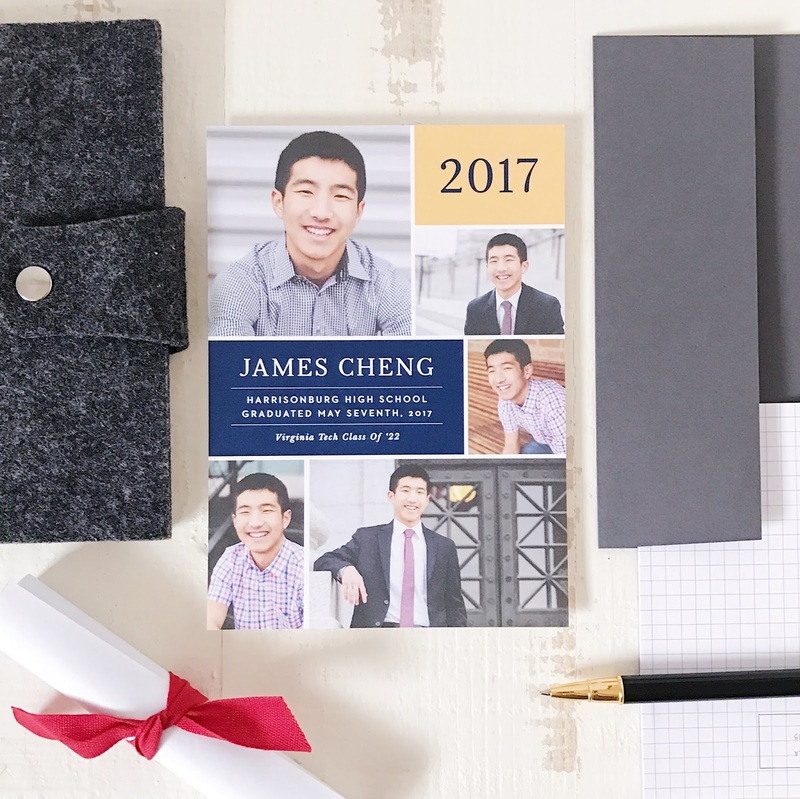 While I love a nice stack of personalized stationary, most times I find myself disappointed at the cost of a poorly made product. 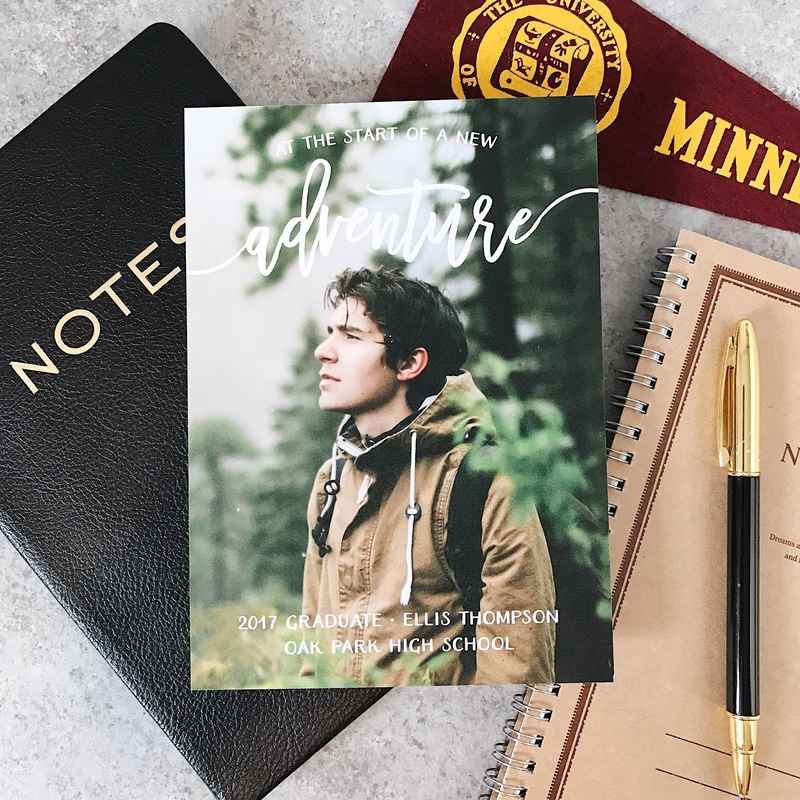 The lack of quality I've experienced in the past with various companies may range from color pay-off, paper quality to the overall printing of the design itself. If the quality of your own stationary is weak, it can certainly hurt some aspect of your personal branding. I decided to give Basic Invite's business stationary and notecards a go and was welcomed by a dizzying array of lovely designs. 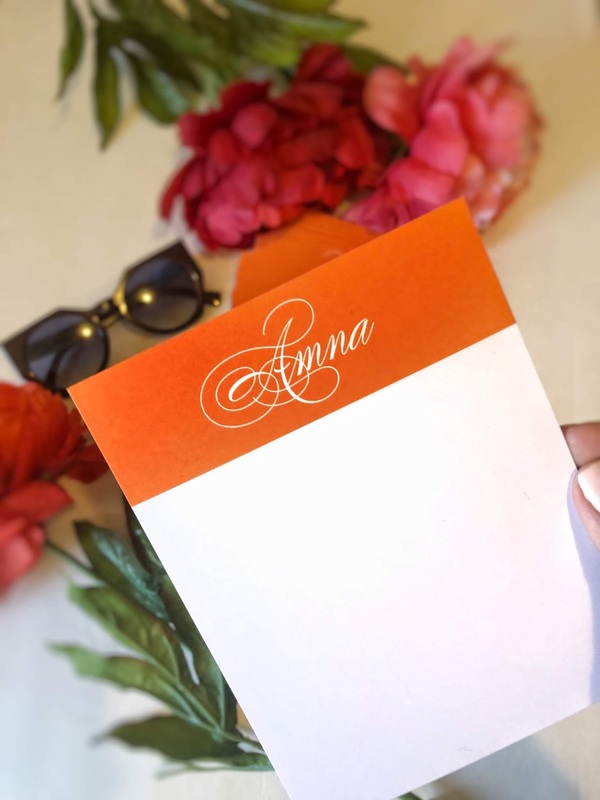 While I absolutely adored a handful of designs which aligned with my aesthetic, I ultimately settled on the stunning and sophisticated Script Monogram Business Stationary. This is where I got to experience their customization options first hand. I was able to swap colors to my liking (I chose Pumpkin for my base rather than black) and loved the font in the color present (white). Another interesting aspect of this design experience was getting to edit the text. Thanks to their instant preview and real-time editing feature, I had the ability to edit the original design to include my whole name rather than just the initial. I also appreciated the unexpected editing touch which included the website's logo at the back of the card. 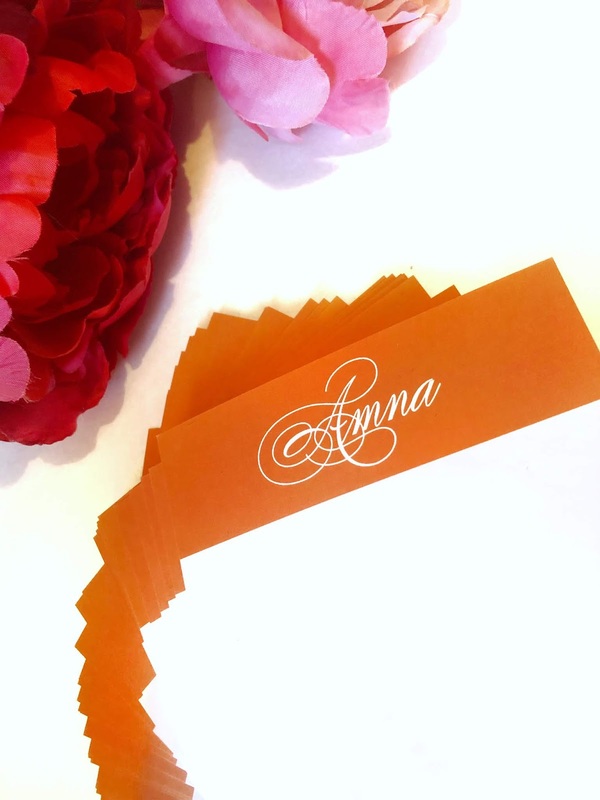 I loved how the whole stationary card, including something as small as a logo, could be customized. Additionally, a unique factor which amplifies their website's exceptional services consists of a complimentary set of peal and seal envelopes which are delivered with almost all orders and can be matched in a color of your choosing before finalizing your order. It's hard not to plan your Valentine's Day beauty look without reaching for all things pink and red. While most imagine a classic V Day look to be created around a bold red pout, I wanted to do something a bit different this year. Inspired by Living Coral, Pantone's 2019 color of the year, I wanted this Valentine's look to be fresh and bright with the same romantic tones you'd expect from a classic look. The key to achieving a flawless base is amply treating it with proper skincare. Prior to applying any foundation or concealing products, richly hydrating the skin is a must. For this look, I wanted to amp up the skin itself to create a perfect canvas for color and chose, Pixi Rose Caviar Essence, an ultra-light hydrating serum. This antioxidant-rich wonder product acts as a blurring product and primer in one which brightens the skin while its botanical-based formulation gives the skin an added boost of radiance. Sultry, muted hues would beautifully complement the coral tones of this beauty look. Arbone's recent launch of their It's All In The Eyes Eyeshadow Palette in Volume 1 is the perfect palette housing an array of earthy shadows for this makeup. Starting with the lightest shade, Fog, use a fluffy flat brush to highlight the brow brown. Then, with a clean flat medium-sized brush, saturate the lid in Amber. Using a tapered-tip brush, Softly blend clove into the outer corner and gradually bring the color into the crease. To brighten the inner corner of the eyes, use a pencil brush and apply Desert onto the tear ducts. To line the eyes, use a fine angled brush and blend Cypress tightly along the upper lash line. Finally, to define the lower lash line, lightly apply Amber along the lower lash line using a flat liner brush. Lush, flirty lashes are must for this look and achieving it is easier than you think. Choosing the right mascara is crucial as the formula and brush have the power to take your lashes from limp to fluttery. A personal favorite and instant lash booster, Lancome Monsieur Big is one of the greatest products to achieve that full, voluminous look with a few coats. Best of all, this iconic mascara, which lives up to its name, comes in limited-edition Valentine's Day heart packaging making it an instant gift for yourself or your favorite girl friend. To illustrate the beautiful Living Coral shade, colored blush is to be applied to cheeks. Using a small blush brush, delicately swipe Jill Stuart Mix Blush Compact in Orange Pinks and blend onto the cheeks, making sure to softly diffuse the product up and outwards. The focal point of this look is the lips To find the perfect shade mimicking Living Coral, I turned to Clarins newest Joli Rouge lipstick range. The ultra-nourishing, creamy lipsticks, which are formulated to last without drying out the lips are a perfect pick for this love-centric holiday. This stunning range is offered in three finishes- satin (Joli Rouge), shiny (Joli Rouge Brilliant), matte (Joli Rouge Velvet) - and made to fit your unique needs.After browsing the richy-hued collection, I found 711 Papaya to the perfect bold coral hue to top off this Living oral inspired beauty look. Valentine's Day is one holiday you can indulge in all the darling heart motifs along with red and pink toned everything. Incorporating these joyful tones and designs into our beauty routine can spark fun results. 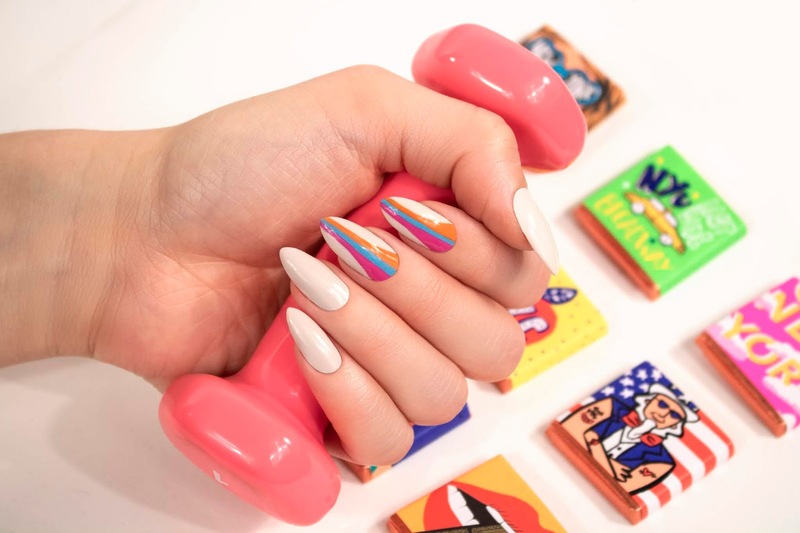 When it comes to nail art, the creative designs one can create inspired by this love-centric holiday is endless and no one does is it better than nail guru and leading influential nail artist Jin Soon Choi. Step 1 - The key to creating a perfect manicure is to be sure you have clean polish-free nails and no signs of any left over residue that may linger after polish removal. Once clean, cut, buffed and shaped to your desired length and shape, you're ready for polish. Step 2 - Once nails are sufficiently prepped, its time to prime the nails. Apply a single layer JINsoon Power Coat to the the nails. This base coat not only protects the nails from additional coats of polish but allows the following products to adhere to the nails in a more even and smooth fashion. Step 3 - Now it's time for color. For the base shade, apply two coats of JINsoon Doux, a sweet powder pink shade, to the nails. Allow to dry a bit before moving on to design. Step 4 - To start this chic striped design, you'll begin with JINsoon Aero. Using a striping brush, dip into Aero and neatly draw a single in the center of the nail from cuticle to tip. This will be a marker and foundation of lined design. Step 5- Once that is done, the curved lines will be created next. Before moving onto the next shade, clean the striping brush with polish remover and gently remove the excess onto a paper towel. Using JINsoon Hope, a creamscile orange, create a curved line to the left of the center line in the same direction as the previous line. Step 6 - Simply repeat the previous step on the right side of the center line but this time use JINsoon Love, a sophisticated bold pink. Step 7 - Allow the design to set a moment. Once set, seal in the look by layering a coat of JINsoon Top Gloss to the nails. This final sealing touch locks in the design while giving it a professional, lustrous finish. Step 1 - Removing all traces of old polish is a must before any any manicure. Hydrate the cuticles, cut and/or shape the nails to your liking prior to any polish application. Step 2- Once nails are prepped, prime the nails with a single coating of JINsoon Power Coat. This brilliant base coats the nails in a protective base, filling in any ridges that may be present on the nails and creates a clean and fortified base ready for color. Step 3 - For the foundation color, use JINsoon Doux, a pale pink tone. Apply two event coats to each nail and allowing a moment to set in between applications to avoid streaks or uneven spots. Step 4 & 5 - Once the foundation polish sets, these two steps will detail how to create the curved heart shape design. To begin painting the left side of the heart, use JINsoon Aero and create a curved shape half way down the nail. Continue on the next nails with shades JINsoon Hope and JINsoon Love. Once complete, the same curved method will be done on the right side of the nail, making sure to overlap the previously created curve. 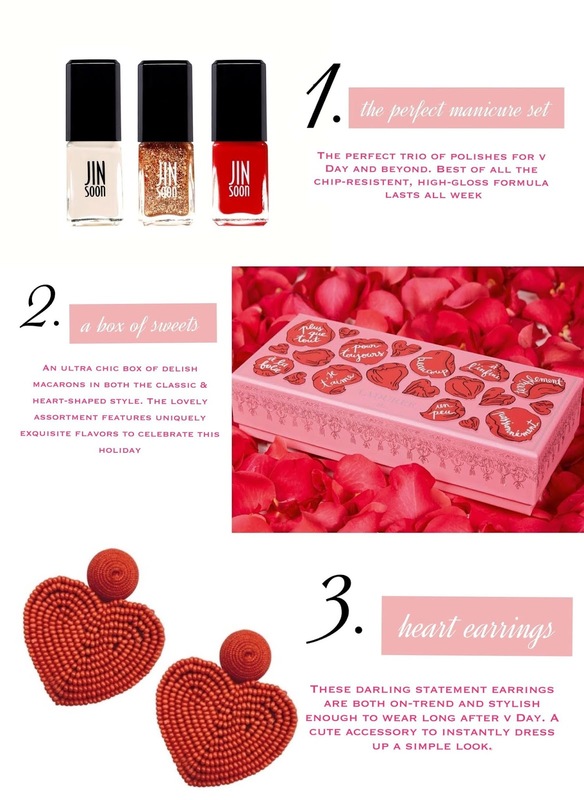 Only this time, you'll use JINSoon Spriffy on each nail to create the mixed sweetheart candy heart look. 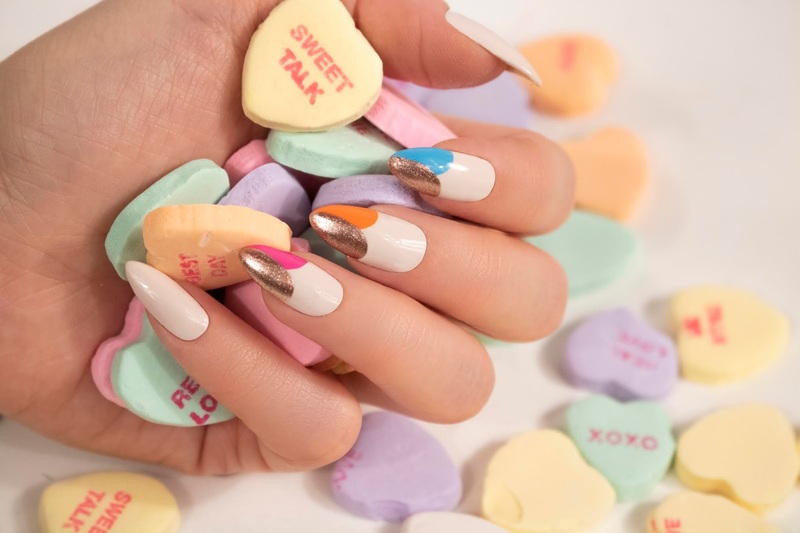 The finally look will be ultra-glossy, chic multi-toned candy heart-inspired tips. A day highlighting love, Valentine's Day shouldn't only be about your sweetheart. 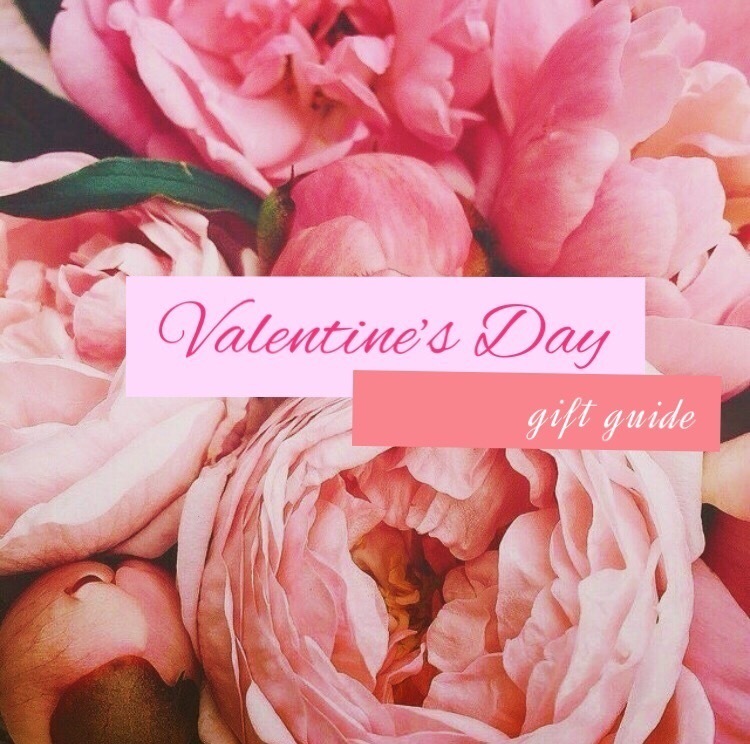 With so much love in the air, there's no harm is extending a little extra kindness to your best girl friends this V Day. While most may have stocked up bags of sweet heart-shaped chocolates and candies to share with their favorites, some of us may have our eyes on somethings better than the classic box of chocolaty goodness. 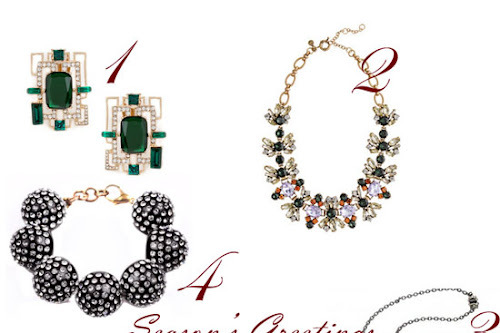 From cheerful baubles to extravagant treats, I've rounded up some stylish gifts your bestie will love. This set features three perfect shades with which you could create endless manicures. Whether your best gal pal is a fan of complex nail designs or simple, clean manicures this set is sure to fit all manicure needs. Including the perfect romantic red shade (Ardor), simply painting your nails with this shade will have you beautifully set for V Day. For a an extra dose of glam, the luxurious, ultra-glitzy topper shade (Gala), can be applied atop either Ardor or Prim, a soft, off-white polish. I cannot recommend JINsoon's polishes enough as the formula is just beyond wonderful. The brush makes application a breeze and the polish dries down to a lustrous finish which makes top coat optional. As someone who always likes her nails in tip-top shape, JINsoon's luxurious nail polishes hold up brilliantly throughout the week and makes it a gift you'll want to use till the last drop. Valentine's Day isn't complete without a little something sweet and this lovely box of decadent macarons is a fresh (and delish!) alternative to a classic heart-shaped box of chocolates. The box itself is beautiful but what's housed inside - Laduree's iconic macarons - is the epitome of dreamy indulgence. For this limited-edition V Day box, heart-shaped macarons will be nestled alongside Laduree's classic best-sellers. The special heart-shaped sweets will be a unique rose and lychee flavored blend that are sure to taste as amazing as they look. How stunning are these earrings? I first saw them on Ashley Brooke of Ashley Brooke Designs and thought they would make the ideal statement gift for your BFF (or yourself!) this V Day. The heart design itself is very on-trend but its rich red shade and classic beaded construction make it a fast favorite you could wear time and time again. Best of all, these beauties are lightweight so won't be in tears from the pain by the end of night, as I so often find myself when wearing statement earrings. Blair Waldorf's favorite hair accessory is having a resurgence in the fashion industry and there's no one designing better or more high-quality headbands than Lele Sadoughi. Her stunning, crown-like crystal and pearl adorned styles will make you feel like city-chic royalty. If you like a more subtle look, her embellish-free knotted headbands come in a variety of fabrics and prints. 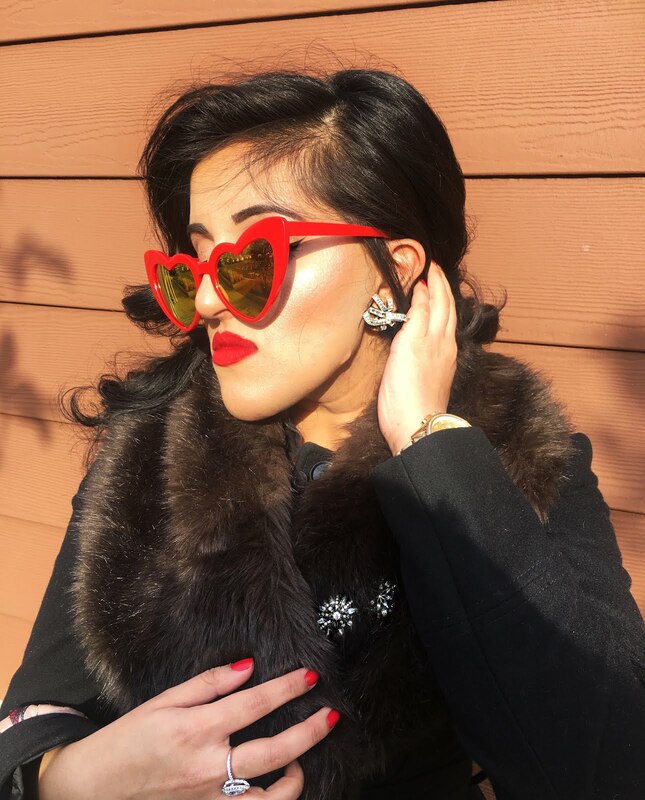 Upon browsing her beautiful collection her Velvet Headband in Cherry Red instantly caught my attention as it screams glamorous Valentine's Day style. From casual to dress, this lovely hair accessory is a gift that'll upgrade any look. While most find gifting fragrance a bit tricky this pretty set makes it so much easier. This unique set of nine beautifully blended scents is meant to be used and layered to your liking. Introducing the method of Intention Scenting, this set encourages you to apply each fragrance with a positive intention and perspective during application which leads to a comforting mindset. Additionally, the kit includes a beautiful rose quartz and set of intention cards to continue with the theme self-reflection. This mood-altering gift is one that keeps on giving in a healing fashion. For the friend who has everything, gifting a cute card on Valentine's Day is a treat in itself. 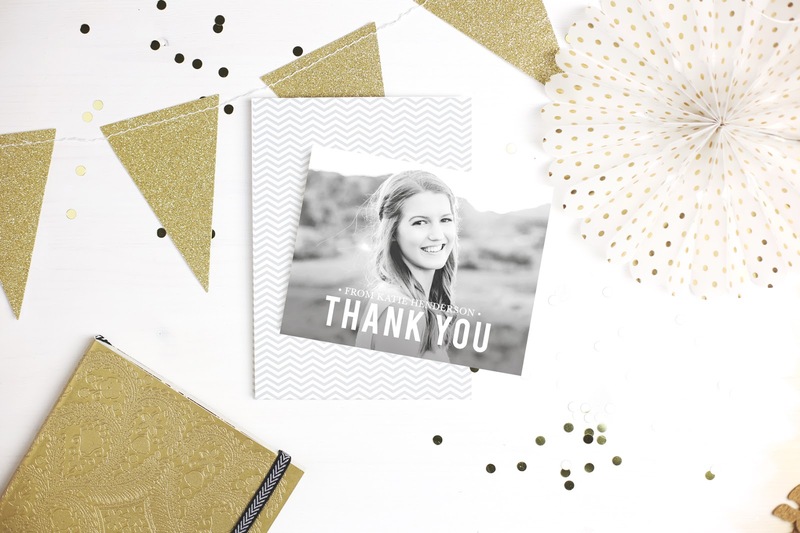 These special cards go beyond the simple versions available at drugstores and are sure to make a memorable impression. Along with its colorful designs and witty messages, each card comes with a matching sachet of fragrance for a quick spritz of delicate aroma - such a cute idea. She's the lady in red when everyone else is wearing tan! © Ask and Tell Beauty. Design by FCD.